Previous Episode:No. 096 What Got You Here Won't Get You There	More Episodes Next Episode:No. 098 Are You Overlooking This Proven Podcast Format? You shouldn’t simply hit “publish” and then run to the next idea. This way you can meet more of your current audience members where they are, and you increase the likelihood of reaching potential audience members with your best work. In this episode of The Showrunner, we discuss how you can get more mileage out of your best ideas with a smart repurposing and distribution strategy. Welcome back to The Showrunner. This is episode No. 97. 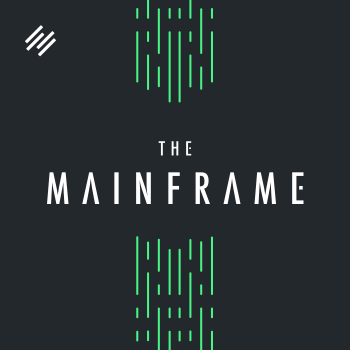 I am your host Jerod Morris, VP of marketing for Rainmaker Digital, and I will be joined momentarily, as I always am, I guess as I usually am I should say, by my helping-you-find-your-20 co-host, Jonny Nastor, the host of Hack the Entrepreneur. The Showrunner is brought to you by the all-new StudioPress Sites, a turnkey solution that combines the ease of an all-in-one website builder with the flexible power of WordPress. It’s perfect for bloggers, podcasters, and affiliate marketers, as well as those selling physical products, digital downloads, and membership programs. If you are ready to take your WordPress site to the next level, see for yourself why over 200,000 website owners trust StudioPress. Go to Rainmaker.FM/StudioPress right now. So I hate to be the one to break this to you, but your audience does not need your ideas. Now, I’m sorry to disappoint you, but this is true. Your audience is exposed to plenty of ideas. Everywhere they turn, online and offline, they are bombarded with ideas, ideas, ideas, ideas. Mostly filler and fluff. Think about yourself. Do you need any more ideas to consume and consider? No, of course you don’t. What you need are someone’s best ideas, and what your audience needs — in fact, all that your audience needs — are your best ideas. The ideas that cut through the crap and clutter to make a difference. The ideas you’ve thought through, spent time with, and sculpted. The ideas that are closer to finished products than initial impressions. You should invest more time distributing these premium ideas further and wider, in different ways and in different places. You shouldn’t simply hit publish and then run to the next idea. This way, you can meet more of your current audience members where they are, and you increase the likelihood of reaching potential audience members with your best work. In this episode of The Showrunner, we’re going to discuss how you can get more mileage out of your best ideas with a smart repurposing and distribution strategy. Jerod Morris: Excellent. By the way, I should mention, what I just did there was kind of meta because I have a post coming out on Copyblogger this week that is about this very topic. So I wanted to talk about it and I figured, “Well, why not? One of the things that we’re going to be talking about is turning a podcast into a blog post and vice versa.” So that’s actually the intro from the blog post, which I just read. Hopefully, it sounded kind of casual and didn’t sound too much like a reading, but kind of a little meta here with this post because it was a blog post. Now we’re turning it into a podcast. This is kind of an example of what we’re talking about because I spent some time on that blog post. Why just let that blog post sit there on Copyblogger and not do anything else with it? So now we’re going to apply it to podcasting. That’s just a little peak behind the curtain with what we’re doing here. Jonny Nastor: I’m looking forward to this. This is cool. It’s really cool. So let’s find out if you’re doing enough with your best ideas. Jerod Morris: Let’s do it. Jerod Morris: We’re going to break this up, as we typically do, into our three-and-three format, so three big ideas and then three supporting ideas underneath each one of those. If you read the post on Copyblogger you’ll see that I didn’t break the blog post up that way, but everything that we’re talking about here is an idea that I talk about in that blog post. This is still an example of this idea that I had developed and thought about and thought through, and now we’re just repurposing it here into podcast format. Then, what you want to do, obviously, the first step is developing the idea, which in this case you’ve done. But then you also want to repurpose the idea and distribute the idea. We’re going to walk through each one of these and talk about how you do it the right way. Jerod Morris: Let’s start from the beginning, which is developing the idea because, ultimately, this is all we have. If we are out putting content online, then we are our ideas. Our goal is to spread ideas, so we have to make sure that those ideas are good, that they’re worthwhile, and that they will provide a return for the investment that our audience is making in the ideas. Jerod Morris: The first step in developing an idea is to really allow yourself to explore your thoughts. We could spend an entire episode talking about this, and in fact, we did. Episode 90 of The Showrunner is titled Are You Spending Enough Time Thinking? I truly believe that one of the things that gets in the way of us developing our ideas to the fullest is just us not giving ourselves enough time to think. Not allowing ideas to incubate upstairs for us to fully develop them consciously and subconsciously before we just get them out there. I think giving ourselves time to think — whether that’s on a walk, in the shower, driving, or whatever you’re doing — but just thinking without a lot of other stimulation is one of the best ways and, in fact, it’s an essential way to develop ideas. To move them from that initial spark of a thought into an idea that is fully formed and can then be shared with an audience. You’ve got to give yourself time and space to think. It’s the first step in developing an idea. Jonny Nastor: The second step to developing your idea is to start where you work best. The default maybe a way that we would typically think about this, as content creators, is writing or recording, and whether that’s audio or that’s video recording, where you will probably find yourself that it’s easier for you to write than it is to speak into a microphone. Or you’ll find that it’s vice versa for you. I used to kind of keep it as sort of like either/or, but I actually want to extend it out a little bit. I’ve found the absolute best way for me to start is to start with an outline. It’s really a big reason why The Showrunner episodes, I think, have gotten better as we start approaching 100, but also they become easier to create. We literally stick to an outline every single time. We have our intro, and then we do our three-by-three ways. We got the three big ideas with the three supporting ideas underneath each one, and then we wrap it all up together. The reason for starting where you work best and finding that out by trying different ways is to ease that hurdle. There’s already this sort of tension and that resistance in any sort of creation that’s there. The more you can reduce that by making it easier, or as easiest as it can be, on yourself, the less that resistance will be there. It still will be there for other reasons, but it won’t be sort of a physical tactical reason. So explore other ways. Explore writing. With Google Docs now, they have the voice to text. You can speak right into it. Some people do really, really, really well with that. I haven’t used it enough to get really good at it, but some people can really explore their thoughts and get them down, at least at first draft, that way. Some of us, like myself, is good with podcasting and sort of exploring the idea. Then other people really like to write out the paragraphs, get it sort of out in that way. To me, to extend that out, it’s really about just getting that outline, getting the main big three points I want to cover, and then also getting the three sub. I love the finiteness of that outline, that it can’t just go on forever. You can’t wonder like, “Am I teaching enough, or am I not teaching enough?” It’s just, if you hit those three and then the three sub-categories of each one enough, I know for a fact that it’s more than enough. And it’s not too much that you overwhelm the person. In the second part of developing your idea is really start where you work best. That’s going to take some exploration and finding what does work best for you, but then once you find that, keep starting at that point always. Jerod Morris: I think the question to ask yourself is, “Where do you clarify your thinking best?” Because again, this is all about the idea. How do you best develop the idea? Jonny just talked about how he works really well with an outline. For me, I thought for a while .. in fact, I think I hoped for a while that just hopping on a recording and talking about an idea, talking through an idea, would be the way that I best clarified it — but it’s not true. I don’t feel as comfortable doing it that way. I find when I actually sit down, take some time to write something out, I feel so much better. Not just because I’m always going to read off of a script, like I did at the beginning of this episode. In fact, I don’t do that a lot, other than when I’m literally turning a blog post into an episode, which we’ll talk about here in a minute. But just when I need to then speak extemporaneously about the idea, I’m going to be interviewed about it, it’s going to come up on a webinar. Or I’m just going to hop on a podcast — like we are right here –having written it out, seen the words, rearranged the words, rearranged the ideas, and even come up with a few certain phrases that I like, it gives me so much more confidence in my ability to explain the idea. And I know that I’ve gone through some of the hard work of clarifying that idea so that, when it does actually reach an audience, it’s in a much more fully formed format that is going to be more useful for them. That’s going to be different for everybody, so I can’t underscore enough the importance of understand where you clarify your thinking best. Clear thinking is what leads to the kind of ideas that actually have an impact on an audience, which is ultimately all of our goal. Jerod Morris: Then the third step, which flows right from that when it comes to developing an idea, is you’ve got to strike a balance. How many things do we talk about where striking a balance is so important? In this case, you’ve got to strike a balance between avoiding perfectionism … because if you wait around for an idea to be perfect, frankly, you will never publish anything. Part of the way that an idea takes the next step and moves closer to being ‘perfect’ is actually interacting with an audience. There’s no way for an idea to ever get perfect if you wait for it to be perfect before you publish. But that doesn’t mean that you should just put out every thought, every single thing that comes through your mind. Whether you’re creating an outline, writing, or doing a recording, you want to plan it. You want to actually do it, and you want to edit it. You want to refine it some to ensure that when the idea does go out there, even the first time, that it has a requisite amount of quality. Then you open the feedback loop. Hopefully you get feedback on that idea. Now you can start to make it better. But you’ve got to strike that balance between avoiding perfectionism but still ensuring that you have some processes and you have some quality control to ensure that when the idea does go out there to an audience that it is going to have a certain level of quality. When we talk about developing an idea, it’s about giving yourself the space to explore your thoughts, making sure that you start where you work best, where you do your clearest thinking — whether that’s writing, or recording, or something else — and then making sure that you strike a balance between avoiding perfectionism, but still ensuring a high level of quality. That’s developing the idea. Jerod Morris: The next step, then, is to repurpose the idea. The big thought here is you’ve put this time in. You’ve thought about it. You’ve developed this idea. You’ve refined the idea. Why would you then put it out in one format and then move on? Jerod Morris: You’ve now got this great idea, and you’ve got that feedback loop open. So you’re going to start making it better, but even that first part, if it was good enough to publish in one place, surely it’s good enough to put out in other ways. That’s where repurposing, having some patience with the idea, and going those next few steps is so important. The question that I would ask yourself first when it comes to repurposing is number one, “Where does your existing audience expect you?” It’s so important that we understand this idea of where our existing audience expects us. For example, if we are primarily serving a podcast audience, and we have found (going back to step one) that we do our best thinking, our best idea generation when we’re writing — so we’ve written a blog post, and we’ve put out a blog post — what good does that do our primary audience, who should be our number one focus, if we put out a blog post, but they’re expecting a podcast? In this case, we should really consider taking the next step of recording audio for them, whether it’s just a discussion about that topic or an actual reading of the blog post. I learned this lesson recently over at The Assembly Call. I started doing these blog posts, these 3-Point Shot blog posts. Get up in the morning, write out three observations that are going on this off season, and I wrote them as blog posts. But people don’t really visit our blog. It’s a podcast audience. Our audience is mostly podcast listeners, and I thought, “Why don’t I record these?” I’ll read them, and I understand the idea better now. I’ve clarified it. I can jump off and do little asides and kind of add a little bit to it. And the response has been terrific. Obviously so much better for the podcast than the blog because the audience is primarily a podcast audience. But for me, I work best writing. So I was able to clarify the idea, but then going the next step of actually doing the recording of the blog post allowed me to reach my normal audience. Now, the inverse obviously is true, too. If you primarily have a blog audience, but you’ve recorded a podcast — and it’s this great podcast, whether it’s just you, or whether it’s an interview — well, how is your primary audience going to get to it if they’re expecting something written? Well, you turn that into a blog post. Write a blog post. Publish a transcript. Do something to get it to them in the format that they need it. So before we go too far down the road of repurposing, the very first question to ask yourself is, “Okay. What is my primary audience? Have I gotten this idea to them yet?” Because before you start talking about bringing other audiences into it, you’ve got to serve your core audience first. If the content, the idea that you’ve put out there, isn’t in the primary way that they get content from you, that needs to be your primary focus as the next step — getting it out in a format that they can use it in. Jonny Nastor: And then the second part of repurposing the idea is going out and finding a new audience. Once you’ve nailed that first part … and this goes back to last week’s episode, the idea of What Got You Here Won’t Get You There. This is probably for people at 50 episodes and beyond because, for that first part, you should be focusing on your podcast audience. But then, something I learned with Hack the Entrepreneur, a really exponential way to expand your audience at that point is to go to our audiences. You decide, “What is the next audience I want to attract?” I’ve seen podcasters start up YouTube channels, and I’ve seen them start blogging or writing on bigger websites, whatever it happens to be. Either way can work. You just have to choose what that audience is and then go after those people. With Hack the Entrepreneur, I wanted to build an audience of readers because I wanted to create a book and stuff from further repurposing my show, so I started reaching out and writing for other places. That brought in readers to my site, which allowed me to grow this site from the podcast and from the readership people. Then, a certain percentage of readers, and people who find you just in the ways that they generally like to consume content … I love reading blog posts. I love reading articles, but at the same time, I’m a podcast listener. I’m not a podcast listener as much as some people, to the point, because I think I just grew up reading, and I absolutely just love to read. I’m always reading three or four books at one time, and I love reading articles. But at the same time, when I’m out walking, I like to listen to a podcast. So there’s that crossover. I could be introduced to somebody’s ideas via their writing, end up back on their site, find out they have a podcast, and I will listen to that podcast, which then in turn grows their podcast audience. Sort of the inverse of going where your audience expects you, it’s deciding what next audience you want. Like we talk about for the first 50 episodes, focus on one audience, the podcast audience. When it’s time to go beyond that, focus on one more audience. So don’t now try and go for every other audience out there because you have 50 episodes of a podcast. Choose one. Do you want the video audience? Do you want the written audience? Whatever that happens to be. Or do you want speaking circuit audience? Whatever it happens to be, you get to choose that, but don’t now go from just trying to find podcast listeners to trying to find everyone. It won’t work in that way. Choose the audience you want to attract, then go provide the content you’ve already created through your podcast, but now create it for those people and where they want to consume. Obviously, to do this and to do it online, you’re going to need a flexible website. A website that can handle a podcast, that can handle a blog, that can handle lots of different content types, so that you can attract different types of audiences. If you don’t have that website yet, or if you’re not satisfied with the website that you do have and the hosting that you do have and you want something better, we certainly recommend StudioPress Sites — which, as I mentioned at the beginning of the show, is a turnkey solution that combines the ease of an all-in-one website builder with the flexible power of WordPress. That’s what you want. You want to have a lot of what you need right there with your site — the hosting, the security, the design, and recommendations for the best plugins for you to use. That’s what makes something like StudioPress Sites so great for bloggers, podcasters, affiliate marketers, and certainly for showrunners as well. If you’re ready to take your WordPress site to the next level, go to Rainmaker.FM/StudioPress right now. Jonny Nastor: You, Jerod, I have to just interject quickly, because that segue was almost flawless. It’s good. I love how it’s almost like, “Did I set that up? No, he just find these spots and segues into the ad.” It’s impressive, man. Jerod Morris: I’ve done so many live reads now for different ads. It’s funny how the opportunity just crystallizes in the moment. Jerod Morris: Thank you. Hey, it’s like anything else, man — practice, practice, practice, practice. As we move forward continuing to talk about repurposing the idea, we’ve talked about steps one and two, and step number three is asking yourself, “All right. What else could this idea become, with minimal effort?” Repurposing isn’t something where we’ve got to do 100 percent of the work again for the idea. We really want to take the idea and even some part of the content that we’ve created. If we’ve recorded a video, we can extract the audio off of it and use it. We want to try and be efficient here, but what else could this idea become that would reach even more of your type of people? To give you an example, would turning it into a webinar presentation make sense? Think about this episode that we’re doing right now. It’s going to take us a half hour, probably a little bit longer, but the structure is nice. It’s got three sections. It’s got three points. We could easily create slides for all of these. We could do a webinar presentation of this very, very easily. Then we could create a slide deck from that webinar presentation and share it on SlideShare. We’re going to get into distribution here in a little bit, but that’s what you want to think about. “We’ve got this idea. We’ve even got a lot of the content of the idea created. What else could we do with it?” A webinar presentation, especially for people who are doing podcasts, can be a really good option. Could you even take little bits and pieces of the idea? Could you create meme-able pieces of content for sharing on, say, visual sites like a Pinterest or like an Instagram? Is this episode or this blog post, is it the lesson of a course? Is it the chapter of an ebook? Jonny created a book from his episodes of Hack the Entrepreneur taking some of the lessons that he learned from the people that he interviewed, and those became sections of a book. With a little bit of creative thought and a little bit of work — maybe you won’t be able to take the exact format that it’s in — but what else could this idea become? Now, you’re really starting to adopt a repurposing mindset. That’s what is going to allow you to not waste your best ideas or confine your best ideas to only a couple of content types or a couple of audiences, but really start to broaden your scope and broaden your ability to attract people from a wide, wide range of places. Jerod Morris: So we’ve talked about developing the idea. We’ve talked about repurposing the idea. The next step, of course, is when you’ve repurposed content into different content types, you’ve got to distribute that content. Let’s go through the one-two-three here of distributing. Jerod Morris: Well, the first question is, okay, where else can you reach consumers of your primary content type? If you’re putting a podcast out there … we’re going to assume that you’re on iTunes, that you’re on Stitcher, that you’re in some of these basic places. When we’re talking about serving our primary audience, where else can we reach more of these types of people? How can we get into more podcast directories? For example, I just put Assembly Call up on SoundCloud, and we’ve attracted some new listeners and some new activity from SoundCloud. How can you get on more podcasts to be interviewed about your ideas? Where is the best place to find podcast listeners? Other podcasts, because the audience is going to be people that are listening to podcasts already. Also, how can you make your content easier to consume in places where you already communicate? This is one of the reasons that I decided to get The Assembly Call on SoundCloud. When you post a SoundCloud link in Twitter, that Tweet comes up in people’s feeds with a little play button, and they can listen to your episode right there. So it just makes it easier. With distribution, we always want to be thinking about, who’s consuming the content here? Then, how easy is it? What’s the experience like? And is this going to make the experience in other places where I’m already communicating with people, will it make it even better? I noticed that I was starting to just listen to podcasts right there in my feed. I love the ones that had a little clickable play button, and I could just listen to it. I didn’t have to go elsewhere. I didn’t have to download it. It was so easy. Well, guess what? I serve a podcast audience, so as a podcast consumer, if I was feeling this way, I want to give that experience to my audience as well. Be on the lookout for those types of opportunities, and that all goes in there with distribution. Again, the reason why number one here and number one in the previous section was talking about our primary audience is that — when we start getting excited about doing more with our ideas, repurposing them, and distributing them — it can be really easy to take our primary audience for granted. We never, ever, ever want to do that. These are the people that we always want to be serving first. We do want to expand, and we want to bring more people into the fold — but don’t take that audience for granted. Always, always, always see how you can get more of them and be thinking about how you can serve them better. That’s always going to be important. We talked about podcasts. Say that your primary audience is a writing audience. I know many of you who are listening, you have a podcast, but you may still be a blogger at heart. That may be how you serve your audience best. Like Copyblogger is, or like Rainmaker Digital is. Our audience is still primarily a writing and reading audience. Okay. Well, how do you find more of those people? Should you syndicate your posts on Medium? Should you publish a guest post elsewhere? Those are the kinds of questions and the kinds of activities that can help you reach more of your primary audience member in other areas. Jonny Nastor: The second way to distribute your idea kind of ties back quite closely to what Jerod just said, and then also to what I was saying under repurposing the idea, that is to think about where else you can start to build the new audience around a new content type. If that’s podcasting or writing, whatever your primary content type is, do the other one. With the same content, explore the same ideas through that, but repurpose it and distribute it in another context, in another platform if necessary. I think, as creators, often times we get so caught up in the idea itself or the creation itself, that we then sort of drop the ball, if you will, or cut short the thought process on how it is the consumer of this content wants to consume it. Meaning we get so caught up in the actual process of creating it that we don’t spend enough time in the distribution. We don’t spend enough time thinking, or we think that, “Well, because I like to read my ebooks in PDF, then maybe what’s the point of putting it into an EPUB file for people on Kindle? I read it on my laptop. That’s how I read books, or I read it on a Kindle,” whatever it happens to be, “or an iPad.” But we get so caught up in how we want it to look and how we want it to be consumed our way, but that’s not at all what it is. Distribution is giving people your ideas and your content on the platforms that they want in ways that they already are consuming things. It’s hard enough, like Jerod said at the very beginning, there’s a ton of ideas. There’s so many podcasts. There’s so many articles out there. It’s hard enough to get heard without also making it difficult and trying to have to convince somebody to consume our content the way we want them to consume it. I think the idea is really to understand where your audience is and then find where you can distribute these ideas to find more people where they’re already looking for these ideas. Jerod Morris: Let me add one thing to that, too, just something specific. For those of you, and that should be all of you listening, who are creating podcasts or interested in creating podcasts, really think about YouTube as another place to repurpose your content. Even if you don’t have a video component for it. Even if you’re just putting up a title screen and that title screen is sitting there for the entire 30 minutes. Even if it’s just a black screen with white titling. Put it out on YouTube. I have been so pleasantly surprised at The Assembly Call, for example, how much our audience has grown on YouTube. Most of the people, they don’t even care about the video. It’s cool that we’re on there, and they get to watch our face while we’re talking. But a lot of them just like subscribing to YouTube and listening to content there. Now, you do have the added bonus of the people who are really closest to you and want the full experience, want to see your facial expressions, and really want to connect, they do like having that. But it is so simple. We talk about efficiencies and how can you repurpose efficiently. Going from a podcast to YouTube, or vice versa, obviously going from YouTube to a podcast, is so simple. It makes a lot of sense. As I’m thinking about that, I’m thinking we should probably be doing that for The Showrunner, and we really probably should be. Really, it makes so much sense, and YouTube is such an oft-searched place, that if you put the right titles on there, you can really drive … and there’s synergy between the audiences. Really think about that if you’re doing a podcast, or if you’re doing video, going the other way. It’s probably the simplest and most efficient way to repurpose really good ideas with minimal additional effort or work involved, which is always nice. Jerod Morris: Now, the third and final element of distribution is pay attention to the results. Really be open to the results. Pay attention to them, but be patient. Don’t expect that just because you started putting your podcasts up on YouTube last week, that you’re going to all of a sudden develop this huge YouTube audience. It takes a little bit of time for that to develop. It’s a snowball that needs to kind of work its way up and get rumbling down that hill a little bit. You don’t want to overreact to the results, especially early on, but pay attention to them. What content gets shared widely and in what different places? What surprises you? What confirms the hypotheses that you had? What’s really important and interesting is, what do existing audience members say to you, and what’s the reaction and engagement level of new audience members? Is it the same as your core audience? Is it different? Is there a little bit of a different way that you should treat those people? Maybe you have a different autoresponder for two different types of audiences based on where they come from because you start to gauge a different reaction. There has not been one person that has said that, but I’ve been overwhelmed by people who have emailed, Tweeted, and said, “Thank you so much. We don’t get our IU basketball content by reading blogs. We listen to the podcast. If you weren’t putting them out this way, I would never get this content. Thank you.” It’s been great hearing that reaction. Obviously, it’s emboldened to me to want to do it more, and that’s great. We’re also starting to see a little bit of a different response from some of the people who come in via the blog posts. So pay attention to that. You always want to try and be aware and give people the right kind of experience based on where in their journey they are with you. Jerod Morris: Finally, what I would say, when it comes to both repurposing and distribution, is to remember that your resources are scarce. You’ve got to be careful to not chase diminishing returns. You can’t put all this time and effort into creating a SlideShare deck when it’s only going to get you five views, because your audience just isn’t a SlideShare-type audience. That would make zero sense for me over at The Assembly Call. Even if I got a couple more people, it wouldn’t be worth the energy. So don’t chase diminishing returns, but you do want to explore opportunities and be willing to experiment to try and find avenues that will bring you avalanches of meaningful attention. That’s what we’re looking for. Then, obviously, we need our ideas to be high quality enough to be good enough to turn the attention into action, into subscriptions, into loyalty, and into people coming back. We’re going to have a better opportunity to do that if we’re spending more time with our quality ideas — both in developing them, in repurposing them in different ways, and then in really being patient in distributing them, not expecting a huge home-run right off the bat, but allowing that snowball to build up some, allowing our best ideas to touch people, especially new people, to bring them in, rather than just machine-gunning out all of our ideas out there. Let’s really try and focus on doing more with our best ideas. Ultimately, the Internet doesn’t need all of our ideas. As I said, your audience doesn’t need all of our ideas, and certainly your potential audience doesn’t need all of your ideas. They need your best ones. Invest in those ideas. Develop them to become the best. Then really be patient, smart, and wide-ranging in how you repurpose and distribute those ideas. Jonny Nastor: I want to add one more point to distribution of your ideas, if I could. Jonny Nastor: It really does tie back to that second sentence you said in the intro, which was your audience does not need your ideas. They need your best ideas, but your best ideas to me and the ones that are going to have the most impact and distribute the easiest are going to be the ones that are tied to a problem, a problem that your audience has. Unless … I don’t even know who you could be, some sort of ‘thought leader’ that people just want your ideas, but for the most part there’s too many out there. They want their problem to be solved. I don’t think that you need to think about the problem, necessarily, when you’re developing the idea or when you’re repurposing the idea. But when it comes to distribution, if you can think about the problem that your audience, your listener, your reader is having, and then — through story usually is how we do it — somehow tie your idea that you now have to that problem, you will cause your idea to be distributed for you. It will be practical, and it will solve that actual problem in a way that people will want to share it. And people will get more benefits. The more benefits somebody gets from your content, not just because it’s necessarily a good or a bad idea, but because it solves a specific problem for them, the more likely people will share it with other people they feel have these same problems. These are problems that I faced, Jonny, that I know that you faced, and I know that many of the people who are listening to this face as well. That’s why we actually created the Beginner’s Guide to Launching a Remarkable Podcast. It answers a lot of those questions. It helps solve a lot of those problems — some of them before you even know that they’re problems, which is obviously very helpful and helps you get off on the right foot. We want to give you this Beginner’s Guide to Launching a Remarkable Podcast, and it’s free. It’s going to help you launch your podcast better. If you’ve already started a podcast and you’re not too far down the road, then all of these ideas will help you as well to be able to take the next step and refine what you’re doing. 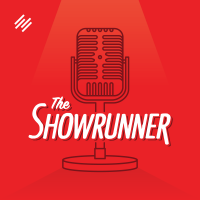 If you go to Showrunner.FM/Report, all you have to do is give us your email address, and you will get the report immediately, in addition to a very helpful and insightful autoresponder that comes after that and asks some pretty cutting questions. Jonny, you and I get a lot of responses to those questions, so I know that people are reading that, that it’s having an impact, and it’s helping people think through things that they need to be thinking through on their path to being a successful showrunner. Go to Showrunner.FM/Report. Let us help you solve some of your problems before you even know that they’re problems and get off on the right foot with your show. Jonny Nastor: Again, again, again, you did it. Seamless segue into a call to action. I love it. That, Jerod, should be your new … you’re not VP of marketing, or whatever that title is you have at the top. Jerod Morris: Sultan of segues. Jonny Nastor: Sultan of segues. Jonny Nastor: Well done. This was fun. I liked it. Jerod Morris: Just remember that for next episode. Jonny Nastor: I liked it. Jerod Morris: Hey, are we going to learn a little more next week or sometime in the future about the webinar that you’re doing about finding your 20? I made that reference earlier, and we kind of left it hanging there. But for anybody who listened all the way to the end, I figure we should let them know what I meant by that. Jonny Nastor: Yes, yes we are. Jerod Morris: Good. I look forward to watching that. The webinar hasn’t happened yet, but I’m signed up. I’m ready to go. Jonny Nastor: Great, excellent. Yeah, it’ll be fun, and tune into an episode, I’ll sort of talk about it. It’ll make sense in an episode or two from now, to you. Jerod Morris: Very good. Well, thank you for being here, and we will talk to you next week on another brand-new episode of The Showrunner.